Use forced air heating and / or AC thermostat fan ON – OFF feature to your advantage and help your HVAC forced air system perform most efficiently. Utilizing thermostat fan ON – OFF feature will probably be more beneficial for multi-level homes equipped with just one HVAC unit and little to no air return ports assigned for each room (ie. two air returns on a two story residence / one per floor only). 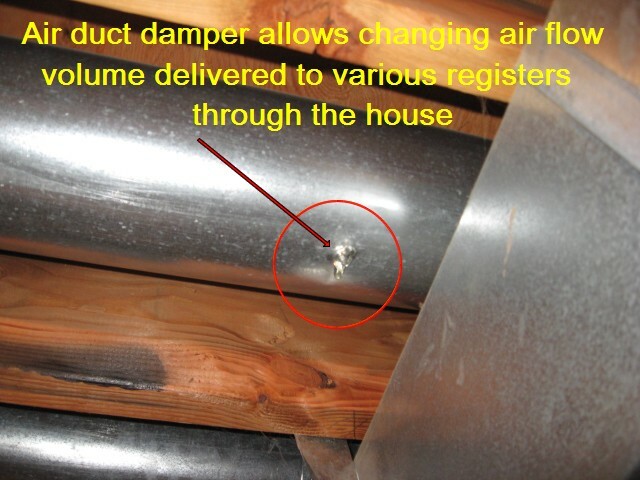 HVAC systems designed with a single air return port, usually installed in the center of the house or in the center of each floor, are often responsible for poor air circulation and can utilize thermostat fan ON – OFF feature. There might be areas within your house with a temperature differential as high as 10°F (sometimes even more) during very hot or very cold days. There are two ways you can equalize the temperature quickly. Move the switch to thermostat fan ON setting if you feel significant temperature changes while walking between different sections of your house, i.e. from the first to second floor. The fan will circulate air independently from the Heat or Cooling cycle, equalizing temperature through the house. Some of the more advanced heating systems have a variable speed fan installed, which operates on the lower speed setting during that cycle – this function is very energy efficient and extremely quiet. You can also purchase additional equipment that attaches to your HVAC air duct system providing constant air circulation and air cleaning continuously (their cleaning is an important part of your home maintenance schedule). Instead of using the thermostat fan ON – OFF feature you can attempt to equalize temperature through the house by adjusting your air supplying registers between the cold and warm season. 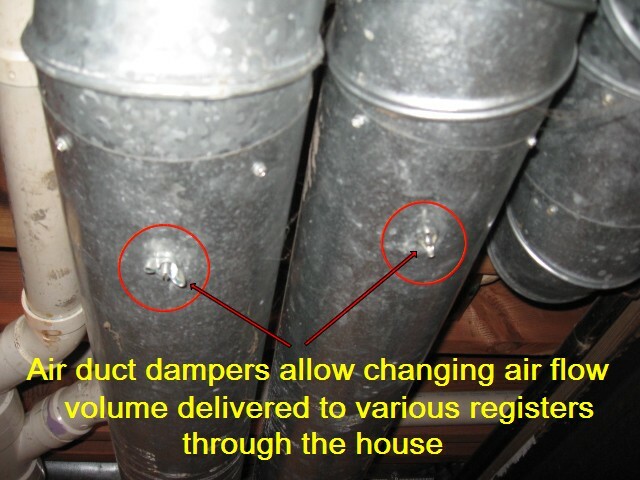 You may also have dampers installed inside the air ducts that adjust airflow through the house. Warm season is just the opposite of the above. By partially closing upper floor air registers and fully opening the ones located on the lower floors you’ll be able to equalize temperature through the house much faster. 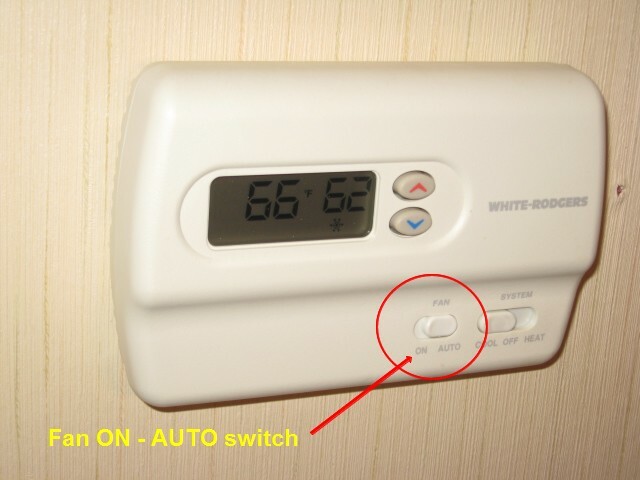 Again, turn the thermostat fan ON to speed up this method. This natural process, known as a “stack effect”, is simply being accelerated by the HVAC system. “Stack Effect” in buildings is a process of warmer air rising from the lower to upper portions of the house where it escapes through the openings beyond the house. If you have a forced air heating system or if you are using fans, the air is being re-circulated back to the lower floor. The same thing will happen naturally as soon as the warm air cools down. The rising warm air reduces the pressure at the lowest level of your home, which allows infiltration with the cold air (through the windows, doors, or any other openings). Combine thermostat fan ON-OFF feature with recommended thermostat settings for even bigger energy savings! Utilize thermostat fan ON – OFF function to increase efficiency of your heating and air conditioning system and to make your home more comfortable.